Reflections of Everyday Life In My Wild Country Garden. These days I cannot walk past a garden centre without checking out the far end of the plant section where they usually put all the discounted plants. These poor plants are generally tired, limp and dry as a bone. All jumbled up together unloved and unwanted. Frankly I find it very sad that had they just been watered regularly they would probably be just fine right now. Anyway, usually heavily discounted, I search through them all to find ones that have a chance of survival. Often I find ones with good root systems and given a little tender loving care I take a chance on reviving them. Today it was the turn of three Rosemary plants and a French Lavender. In particular the French Lavender was a sorry looking plant half dead and very limp, I wasn't sure, but it had a good root system and urged on by my hubby (a recent gardening convert !) decided to take it home. An hour later after a good watering and re potting and light pruning it stands up proud in its new pot on our patio. It will take time for a full recovery but it already looks happier. The Rosemary plants have also been potted up in nice fresh compost and given a good watering. In fact it its also pouring with rain now so that job is done for the day ! They were not in such a bad condition and I am sure they will prosper well. The price by the way was one fifth of the original price so a great bargain! I usually do pot up any "rescue" plants into nice fresh compost first and give them time to recover before I plant out in the garden. I can keep an eye on them better and its just good to know that they get exactly the soil conditions they need. We have rather heavy clay which can be difficult for a poorly plant. Three weeks on it is a different plant. Watering feeding and new compost has given it a new lease of life! It is unbelievably even flowering! I have six Forsythia plants I got less than half price which are now also blooming their hearts out and several others that are all doing very well. So I would urge you not to bypass these sad looking plants for the showy blooming ones.Take a look at this corner of the garden centre section and if you have the will and the confidence to have a go, see if you think any can be revived. Many will not flower for you this year but with TLC will do well next year. I tend to go mostly for perennials, shrubs, roses, lavender, hebe, heuchara, rosemary and clematis have all proved good survivors for me. I can also always be swayed by snapdragons and herbs and will occasionally take on a real challenge if it is a plant I really want. Look for some top growth, a good healthy root system and no sign of diseases. Be prepared to spend a little time on them. Give it a good watering when you get home and leave it. Check up on its ideal conditions and give it that ie sunshine or shade, well drained etc. Then re pot into a slightly larger pot with a good quality compost. Feed if it needs it. Keep a close eye on it for a few weeks at least. My record is that approx eight times out of ten I have ended up with a beautiful plant. Yes I have had several failures which would not respond but mostly it is positive. I get a real pleasure from taking an unloved plant and bringing it back to full health and vigour and it rewards me with a garden full of beauty and scent. I could not afford for our garden to be so full of lovely plants now if it were not for these beautiful bargains. 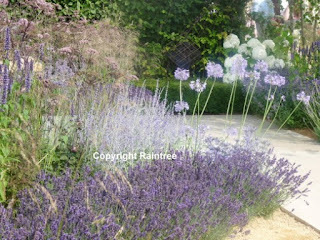 In fact I have just convinced my self to go back and get more of the Lavender and Rosemary plants tomorrow! Now is the time of year many people like to get away on holiday. It may be somewhere abroad for a week or two or in your own country for a short or longer break. Wherever you go it does mean leaving your plants behind at sometimes a critical time. 1. If you can ask a friend, family member or neighbour to come in check them, mow the lawn, open greenhouse windows and close them again, water and feed your plants. It is quite a big ask, I know I have done it for a friend who had a huge garden with a massive veg plot for 3 weeks once!If the kind soul does this for you it is so nice to get them a gift. If they are a gardener maybe a lovely plant or cuttings from plants they admire in your own garden, some veg from your garden or just a beautiful gift. Even better offer to do it for their garden when they go away. 3. Mow the lawn just before you leave, it will be fine for a couple of weeks until you come back. 4.I tend to leave the bigger shrubs and plants to their own devices to seek water by themselves. For example all my Forsythias, Buddleia, Lavenders and other established shrubs including this Ceanothus cope just fine whatever the weather. 5. Smaller plants or those I have recently planted in the ground I give them a huge good watering 2 weeks before I leave then two or three times the week before I leave then the day before. So far they have always coped well when I do this. 6. Plants in the soil are one thing, but plants in pots are so much more reliant on you for feed and water. Again if they are in a bigger pot I will do the same watering routine as above plus give then a good feed. I then move them all into the shade and protected areas of the garden and group them all together. This provides a mini eco system and if in shade they get less of the drying effects of the sun. 6. I have tried in the past using capilliary matting to run from a bucket into each pot and it worked well but honestly often i forget to do this! 7. With the smaller plants in pots and with the vegetables I am growing in pots this year I knew they would not survive well so I filled bowls and buckets with a little water and even utilised a dog bath we don't use anymore and put each small pot in there. I give them a good watering from above and then the roots will search out the water below. I find it is OK if these are left in shade/semi shade or in their usual positions as long as they have water in the bowl. It worked so well they looked even better after my holiday with really good root systems! 8. If you have a larger garden or more plants in pots or just need a simpler easier watering system for your lovely garden here are some great choices to consider to make your life easier. Have a wonderful holiday and a beautiful garden ! Do you have any tips for caring for the garden while on vacation? I was looking at the beautiful Camellia plants. They are gorgeous with lovely shiny thick leaves and a nice growth habit and the blooms are so delicate looking and beautiful. I think they are as gorgeous looking as a rose but without the thorns. Anyway Hubby is always full of surprises and is not really an avid gardener like me (-yet :) ) So he just said I am getting you one for a present! Choose which one you like. Isn't that sweet of him! I am a lucky lass. No arguments here, well you do not have to say "choose a plant" to me twice! So I started looking at the plants and what colour blooms are available. Hubby leaves this up to me as he knows I know what I am looking for. We already have a pink Camellia. You can see the beautiful petals falling to the ground like confetti in this photo with the blackbird. Much of our back garden is going to be mauves, purples, pinks, whites, blues, very relaxing chilling out colours, so I needed a colour that would look right. We loved the red Camellia but it was a bit too vibrant then I saw a pure white bloom that I just knew would fit into an area of the garden that needed a white flower. So we took that one home and planted it yesterday ! We planted it in a sheltered spot, where it will not get exposed to too much wind or more importantly the morning sun. Our other one got burnt petals from it and we had to move it, so now I would always plant Camellias in a place away from the morning sun. It will get some afternoon sun but that is alright. They hate their roots sitting in wet soil so its best to add grit and compost to the planting hole. We planted it with lots of good compost for good drainage and gave it a nice mulch too and a long drink. It will look gorgeous when it grows and blooms. I didn't take a photo because well its just leaves at present so the photo is one taken earlier in the year of the beautiful pale pink bloom of our current mature Camellia in flower peeping through all its gorgeous glossy green leaves. Love Summertime In And Out The Garden! Summer is a lovely time of year. In summer we have long days and hopefully longer warmer days and sunshine, vacation time and beautiful flowers. Its quite an easy time of year to love. Gorgeous music which is beautiful to listen to. You may like to have this video playing while you look through the rest of the page....I find it puts you in the summertime mood. I'm Loving Summer!! A time where we can actually eat out of doors, have picnics and breakfast on the patio.Summer is a time to wear lovely dresses and beautiful cool fabrics. Maybe even a sun hat! Life's A Beach! I love walking a long a quiet beach during the summer. I do not get the chance to do this very often as I do not live that near to a beach and so it is a once in a while experience or when we are on holiday. There is a freshness and unique feeling about being on a beach where the sun warms the sand and the waves gently roll in and I always find it oh so relaxing and serene. When it is warm or even hot in summer often if they can people gravitate to the water. So we find that beaches, lakes, ponds and rivers tend to attract people more. Some people take their sport to the water and we often see people sailing or water surfing or simply taking a gentle row in a small rowing boat. We can enjoy the water more in the summer, warmer with less breeze. Some people like the challenge of water sports in winter but for many its the more chilled out relaxing summer time they love to be in and around the water. In many gardens Summer is the time for flowers. I love all the vibrant colours of the flowers the reds and golds, yellows and purples and also the more gentle shades of lilacs and whites and pinks. They are all just so beautiful. The garden seems to grow so quickly during early summer becoming heavy with greenery and with blooms. Many are scented and the scent hangs heavy on the air when the day is still. Beautiful annuals put on their flowery show now, just a one off magical appearance for a few short weeks but wow what a show! Many roses reach their peak and their beauty is astounding and of the scented ones there is nothing like holding a rose to your fave and drinking in the gorgeous different scents. The garden reaches a hiatus in summer. Much of the frenetic work needed to be done in Spring is over and the Autumn tasks are yet to be needed so we get a brief period of rest. 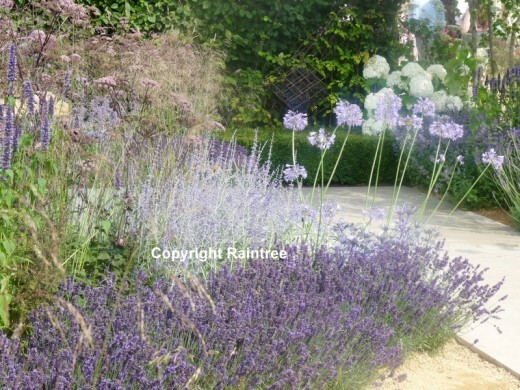 As a gardener we should take more time to look , to feel to smell our gardens around us and appreciate them. If you love flowers Summer is the place to be ! We have a small herb garden and they always come into their own in Summer time. I love the fresh wonderful scents, the beautiful stems and flowers of the herbs. It feels so good to be able to go out of the kitchen door and pick a few chives,sage, rosemary or mint or anything else to go with dinner that evening and to know that we grew them in our garden and how fresh they are. As an adult of course I didn't get those long summer holidays and the summers seem a lot shorter now somehow. We tend to go on holiday at different times of the year but we still managed a week in the warmer weather of July or August to chill out and relax a little. As a gardener it is important to take time every so often to just sit in the garden and look, listen, smell and touch your garden. No weeding, no planning just take it all in and enjoy it. Take a break from the usual routine and explore, relax , enjoy your garden. Summer Reading - All the days of summer to read a good book.Good to enjoy a book in the summer whatever your age.One of my happy pleasures is to take a good book out into our garden, sit on the patio or even on a rug on the grass and simply enjoy reading. Not reading for work or for a course qualification or for learning. No just to read and get lost in a story, in a narrative, in another world. I love to spend an hour or two like this in the garden on a recliner, when I get the opportunity during the summer, the sun warm on my body, the gentle breeze, sound of bees humming and just quietly reading. What Do You Like About Summer! - Share your thoughts about Summer here. Some comments I received earlier. Unfortunately, summer is just come to a close today, here in Canada, at least officially. But, I enjoy Autumn as well and the beauty it brings, even though the temperatures start to drop. Everything - long days, warm nights, summer holidays, days out . . ..
Beautiful ! I'm enjoying reading through why you love each season. Although born in February I can't wait for the summer every single year. It may be too hot sometimes, but I just love it. Colors, warm nights, social events all over the city, going to the coast etc. Another wonderful thing about summer is the flowers, especially the roses. We have many rose gardens here in Victoria. Summer is the carefree season. I enjoy swimming in the summer. Spiders How Do You feel About Them? Spiders, how do people feel about them I wonder... do you love them or hate them or fear them? I struggle with spiders. 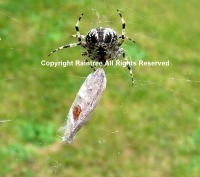 I love nature and all animals, birds and bugs but I do have a problem with spiders. For some reason I just cannot get on with them. It didn't come from my parents as neither of them were bothered in the slightest by spiders. I think it may all stem from an incident when I was five years old when a massive black thick legged spider fell on me from the ceiling into my bath- what a shock! What was that !! I never moved so fast! Anyway since that day I was afraid of them. However no matter how I felt there was no way I could kill a spider or let anyone else kill a spider. So from that day all seen spiders had to be carefully and gently caught and taken outside to a nice safe place in the garden. Its a phobia and can be overcome and after making a concerted effort to face my phobia these days I am a little better -well a lot better- with spiders and can even catch and release little ones myself. However the big ones I still cannot live with or handle. I am working on it ! We have so many spiders of all varieties in our garden. I see them there all the time and outside they do not worry me at all. I am perfectly happy with spiders of any size and shape if they are outside in the garden or in the countryside but not so much if they are in my home! I do appreciate them, I just have to work a bit harder to love them. So how about you, do you live happily with spiders or do you struggle with them? Today I looked out of the window close to my work desk and noticed that our garden was filled with birds! I had heard their calls but was still surprised to see so many. They have been a bit quiet during the bad weather we have had. I saw a few birds eyeing up and testing out nesting materials, lifting up the long slender twigs, picking up bits of fluff. Also a few squabbles, maybe over potential good nest sites.. I saw a couple of sparrows checking out the eaves of our home going in and out and seeing off other birds. Another couple seemed warily interested in the nest box I put up last autumn. However mainly they were feeding and singing. So beautiful to hear them sing! After watching for a while a small flock of sparrows came down to bathe in the bird bath! They were so cute splashing around, getting feathers all clean, sharing the bath most happily. Then a huge pigeon came to bathe, more sedate this time but he displaced much of the water in the bath with just a few dips and shakes. So I had to go fill it up again. It was so wonderful hearing them sing and watching them so active today. We have had terrible stormy gale force winds and lashing rain for many days and nights on and off over the past few weeks that kept us awake, blew our fence down and howling around the houses and gardens. I wondered where the birds went to shelter from such powerful weather. Today the sun is shining and it is relatively warm and very calm and peaceful for this time of year. To see the birds and so many of them out today gave me hope that they are surviving. Labels: Birdbath, birdfeeder, birds, birdsong, Blackbirds, Britain, countryside, England, feed birds, garden, Male blackbird, nesting box, nests, Robin, Sparrows, Spring, Woodpigeons. You can feel the presence of a gathering storm. It hangs heavy on the air. This photo was taken while hubby and I were out walking in the countryside and it was so weird that to the left of us were clear such bright blue skies and to the right were these deep dark rolling gloomy storm clouds. It felt that it could go either way. The air became very still and the animals around went to shelter. The deer in the far distance huddled closer together. They looked agitated. No birds sang. We were out in the open in the middle of a huge field. For us too we knew, some deep instinct within that we needed to find shelter and soon. We headed off to find it. A few minutes later the wind picked up wild and blustery and trying to tear our coats off. We clung onto our hats! The air was heavy and damp as we walked quickly to find the cosy warm cafe we had passed on the way here. There was an air of anticipation, of something so much bigger than us. Upon reaching the cafe literally within seconds we looked out and saw the splat of that heavy wet rain on the window pane. Heavy, lazy, big drops of splattery rain, the sort that just goes right through you. The wind howled around the little cafe and rattled the old window panes, cold draughts finding their way though the cracks. The waitress greeted us in typical understated fashion for these parts, "bit breezy out ?" We sat in comfort drinking hot chocolate watching the rain, glad and grateful to be dry,cosy and warm. Within an hour the clouds blew over, the wind died down, the heavy biting rain turned to showers and the animals relaxed again. Birds started to sing. A short brief experience. No thunder or lightning this time just a normal undramatic rain storm, clearly nothing on the scale suffered in some countries and areas and no devastation or flooding. Yet nature at work, ordinary yet extraordinary, remarkable yet unremarkable. Planning Ahead Bulbs For Summer Joy ! Can You Attract Wildlife If You Only Have A Patio Garden or Window Box? Where to Site A Bird Table Or Bird Feeder. What Do You Do With The Old Christmas Tree? Join Our Diary Of A Wild Country Garden Facebook Page ! Come and join us on our facebook page all about gardening and wildlife, flowers and plants. Visit Jasmine Ann's profile on Pinterest. My Zazzle Store, Based On Nature.